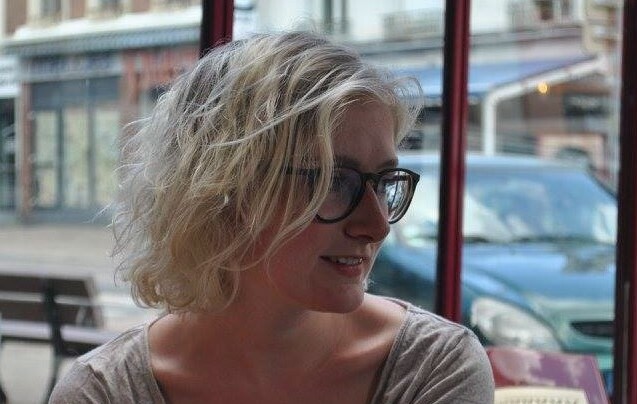 Lieke Schrijvers is a PhD candidate at the department of Philosophy and Religious Studies and works in the research project ‘Beyond Religion Versus Emancipation’. Her project is titled ‘Negotiating Secular and Religious Gender Discourses: Women Converting to Judaism, Christianity and Islam in the Netherlands.’ Trained as an anthropologist, she combines religious studies and gender studies and is interested in how notions of emancipation, secular/religion, gender and sexuality circulate in debates about citizenship and national belonging in contemporary Western-Europe. In public debates in contemporary Western Europe, religious traditions are often met with suspicion when it concerns the freedom of women. Monotheistic traditions (Judaism, Christianity and Islam) are in these debates often considered to pose a threat to ideals of equality and emancipation. At the same time, traditional religious groups increasingly foreground themselves as protectors of conservative notions of family, gender roles and sexual behavior. We could say that this is an oppositional relation of religion and emancipation. Following this, women who convert to religious traditions that are considered to be ‘conservative’, provide us with a paradox, both on socio-political and conceptual level. In my PhD project, I focus on this paradox by collecting and analyzing contemporary conversion narratives of women in Judaism, Christianity and Islam in the Netherlands. We expect that women’s conversion implies a negotiation of modern ideals of women’s emancipation and individual autonomy on the one hand, and religious regulations about gender and sexuality on the other. This nuanced perspective is rather different than mainstream representations of conversion in public debates and academia. One example of the representation of conversion in public debates can be found in the 2015 Dutch tv-show van Hagelslag naar Halal (from Hagelslag to Halal) by the public service broadcaster KRO/NCRV. 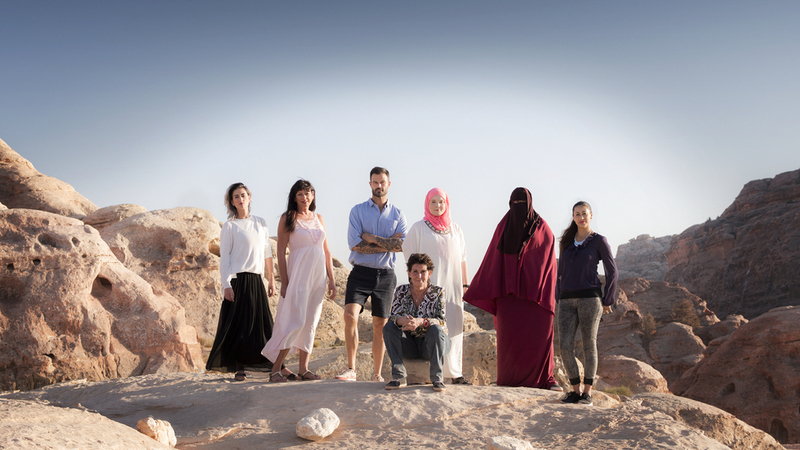 This real-life show follows three Dutch mother-daughter couples on a journey through Jordan. The relationship between the mother and daughter is troubled because of the conversion to Islam by the twenty-something year old daughters, and the show’s main aim is to resolve this conflict. The conversion has a lot of anxiety for the mothers: “At times I feel like I have lost [my daughter], because Lorena is so deep into her religion”, Marcia stated. Throughout its six episodes, the show was sympathetic with the anxiety of the mothers of ‘losing’ their daughters to Islam. It often focused on the fear of radicalization and on the supposed oppressed position of women in Islam. Not surprising, the manner of dress was a recurring issue as well, and the degree of conversion was mainly signified by public appearance and the daughters’ decision (not) to veil. Especially Lorena’s style of dress was topic for continuous discussion, her choice to wear the niqab was criticized often for being too radical. Since all three mothers were raised with feminist ideals (one was active in feminist movements herself), the mothers felt that their daughters gave up ideals of women’s freedom that had been so important for themselves in their twenties, making the conversion also a difficult generational conflict. They feared for their daughter’s safety, naming radicalization and fundamentalism as a very plausible outcome of these religious beliefs and acts. The focus on conflicts between mother and daughter is telling for the current media debates on and representation of Islam in the Netherlands in general, which often follow the idea that Islam is oppressive of women and limits their freedom. However, this is not merely phrased as a difference of religious beliefs, but in the case of Islam conversion is often referred to as a cultural move. The title of the show is an illustration of this: Hagelslag refers to a typical Dutch food product (resembling chocolate sprinkles), while Halal refers to Islamic food regulations. Even though ‘hagelslag’ is most often ‘halal’ according to Islamic regulations (except when containing animal substances), here the two are counter posed and they refer to a move from traditional Dutch food to Islamic food, as metaphors of Dutchness and Islam as non-Dutch. The daughters’ conversion thus implies a move from Dutchness to Muslim. Conversion as such is considered a problem not because it is a change of individual beliefs, which is how religion in secularized nations is often defined, but precisely because it implies a cultural change in which Dutch culture comes to be constructed as emancipated and Islam as inherently non-Dutch. Women’s emancipation as such is predominantly framed in terms of rights, equal opportunities, individual autonomy and freedom of choice. Islam, on the other hand, is framed as essentially confirming gender inequality, restricting autonomy and limiting the possibilities of free choice and expression. It is not only within public debates that conversion is met with misunderstanding, this happens in academia too. Since I have a background in gender studies, my ‘move’ to religious studies is often a surprise to my fellow and former gender studies colleagues and feminist friends. Why, and how, would one decide to study religious conversion as a feminist anthropologist? Religion continues to be rather absent as concept or category of analysis in feminist theory. Even though intersectionality is widespread as theoretical and analytical tool to understand identities as shaped by the interactions of race, gender, sexuality, ethnicity, ability etc., religion is often left out in these analyses. This absence confirms a dominant thinking in feminism which considers religion the antithesis of secularity and freedom, a heritage from second-wave feminism where religion was predominantly considered an oppressive, patriarchal institute that is a stumble block for women’s emancipation. When it is considered, it is often religion-as-other, as factor of segregation and patriarchal oppression and as contradictory to modernization and emancipation processes. This overemphasis on religion-as-other has resulted in an explosion of studies of Islam and Muslim women in Europe since 9/11 and in light of growing numbers of Muslim immigrants and refugees in Europe. Even though on a global scale, a majority of women belongs to a religious tradition, the connection of women’s freedom with secularism continues to shape much feminist public and academic approaches to religion: religious women or converts are assigned a ‘false consciousness’, or considered to be ‘behind’ in the path to emancipation. Scholars from a wide range of disciplines have recently started to question this binary of religion/oppression/gender conservatism versus secularism/freedom/women’s emancipation in political, academic and media discourse. Based on ethnographic anthropological methods and the study of lived religion, scholars in the field of religion and gender have argued for a recognition of religious women’s agency. Agency is a central notion in gender studies, and is often defined with terms as autonomy, freedom, public participation and authority. This understanding often excludes women who adhere to conservative notions of gender roles and might even actively contribute to the installment of a patriarchal system. Critical gender and religion scholars do not deny the overrepresentation and dominance of men in religious authorities, but call for a recognition of women’s active religiosity in non-formal private and public settings and beyond male-dominated institutes. Following this, we should thus not only focus on institutionalized, doctrinal and ritual elements of religion, but also on daily life implications and influences of faith and community. One of the most influential scholars in this regard is Saba Mahmood. Focusing on women’s piety movements in Cairo, Mahmood shows how women actively shape their religion without necessarily implying a resistance or subversion, which requires a different understanding of agency. Mahmood disconnects agency from the western feminist idea of resistance and questions secularist assumptions in the study of women’s lives in dominant feminist frameworks. This different understanding of women’s agency is especially valuable in considering conversion as a complex gendered, sexualized and cultural process; shaped by complicated and often conflicting relations of individual, community and society, during which women negotiate their religious lives not as passive followers, but as religious agents. When it comes to conversion, especially to Islam, the initial focus is often on motivations. What we see here is that female converts are suspected of ‘giving up’ part of their freedom and emancipated status by conforming to religious rules that often know a strict gender segregation. This however creates a rather stereotypical image of conversion to Islam, in which women are often considered passive followers. Instead of continuing this focus in academic studies of conversion, it would be more valuable to look at the diversity of conversion processes. Even though the Abrahamic religions (Judaism, Christianity and Islam) know some kind of conversion ritual (resp. mikveh, baptism, shahada), as a newcomer in a religious group, women often have the sense that they never completely belong. In some ways, they always remain a convert, or a subject in the process of conversion. Conversion is thus not so much a temporal movement from secular to religious, as framed in van Hagelslag naar Halal, but as a set of multi-layered negotiations of liberal-secular, gendered and religious discourses. So instead of considering conversion one singular step or movement, I propose a view that considers conversion as a process. In this process, women negotiate various norms about gender and sexuality. This leads to a repositioning of what it means to identify as woman in both religious and non-religious spaces. They do so in creative ways, as religious agents. Using the theories of, amongst others, Saba Mahmood I will work out the concept of religious agency by analyzing women’s personal experiences with conversion through in-depth interviews. To conclude, I critically question the mainstream understanding of conversion as a move from emancipation to oppression, or from Dutchness to non-Dutch. This enables a critical yet affirmative approach to women’s conversion that takes into account women’s religious agency and provides further understanding of the relation between religion and emancipation in the Netherlands. Soms denk ik wel, omdat Lorena zo ver is in haar geloof, ik denk wel dat ik haar ben kwijtgeraakt, van Hagelslag naar Halal episode 1, aired 24 November 2015. KRO/NCRV. M. J. Neitz, ‘Becoming Visible: Religion and Gender in Sociology’, Sociology of Religion 75, no. 4 (1 December 2014): 511–23; O. Avishai, ‘“Doing Religion” In a Secular World: Women in Conservative Religions and the Question of Agency’, Gender & Society 22, no. 4 (5 June 2008): 409–33; Joan Wallach Scott, The Politics of the Veil (Princeton, NJ: Princeton University Press, 2010); S. Bracke, ‘Conjugating the Modern/ Religious, Conceptualizing Female Religious Agency: Contours of a `Post-Secular’ Conjuncture’, Theory, Culture & Society 25, no. 6 (1 November 2008): 51–67. Meredith B. McGuire, Lived Religion: Faith and Practice in Everyday Life (Oxford University Press, 2008). Saba Mahmood, Politics of Piety: The Islamic Revival and the Feminist Subject, Second (Princeton, N.J.: Princeton University Press, 2012).